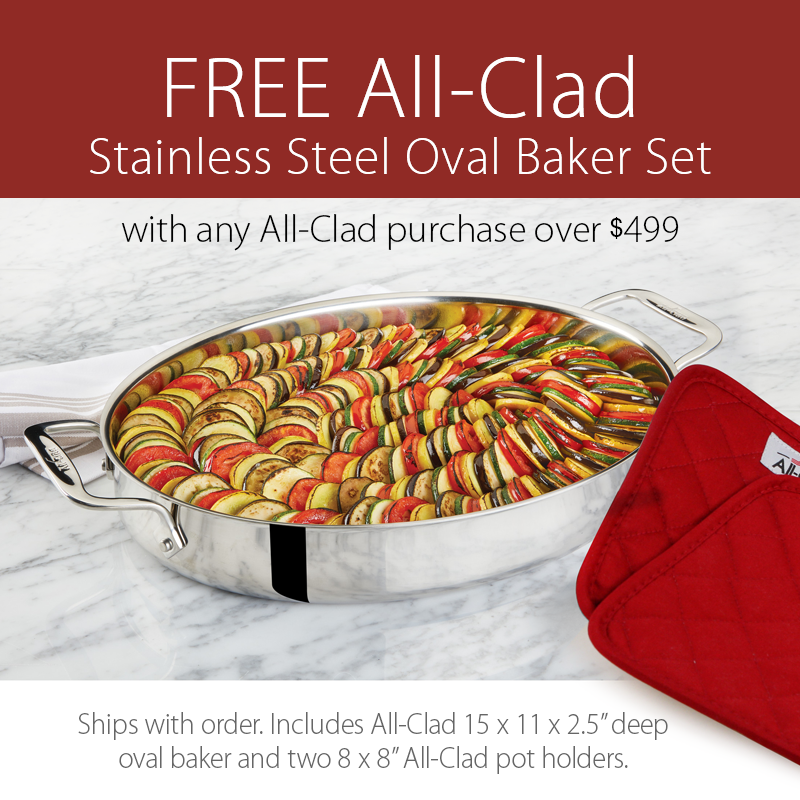 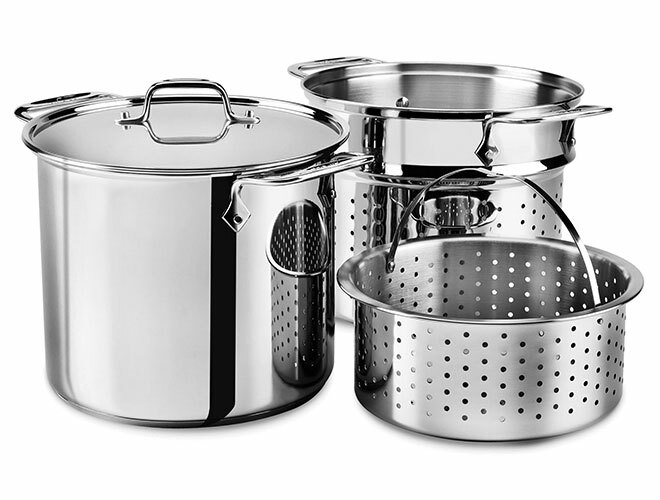 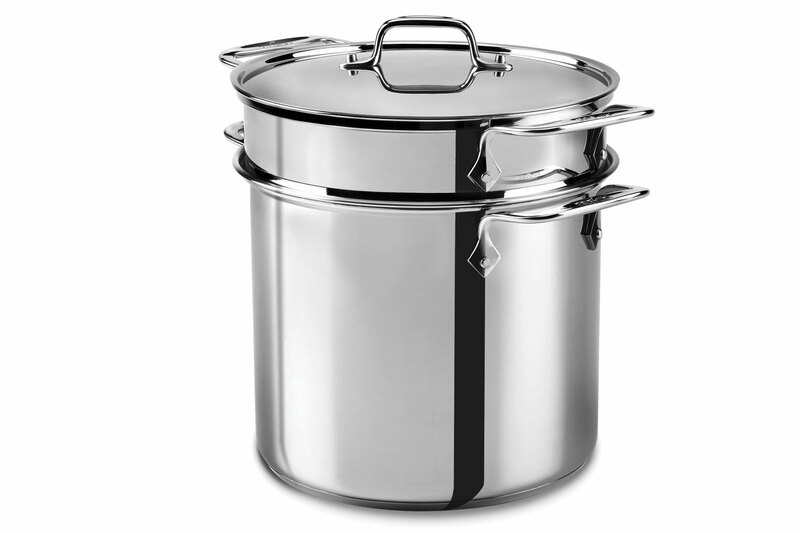 The All-Clad Stainless Steel Multi-Function Stock Pot includes a 8-quart multicooker stock pot and lid with a perforated steel pasta insert and a steamer insert, offering exceptional versatility. 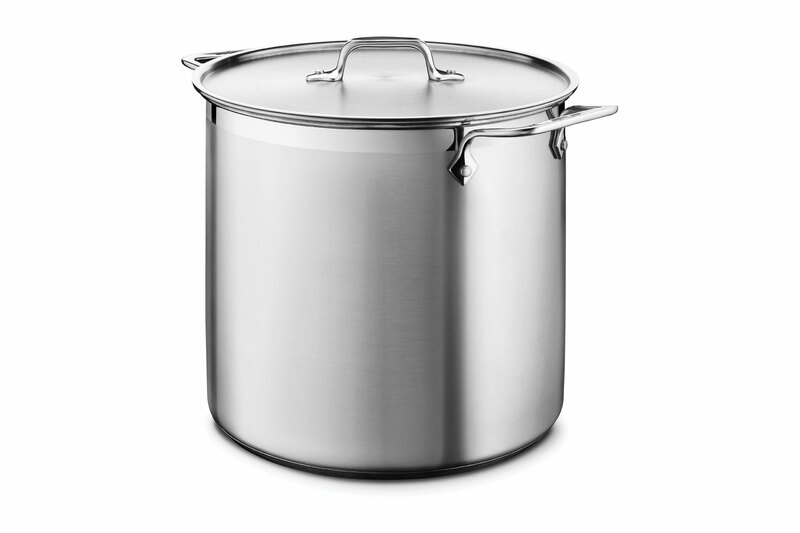 The stock pot works well for canning, blanching, or making large batches of soups and stews. 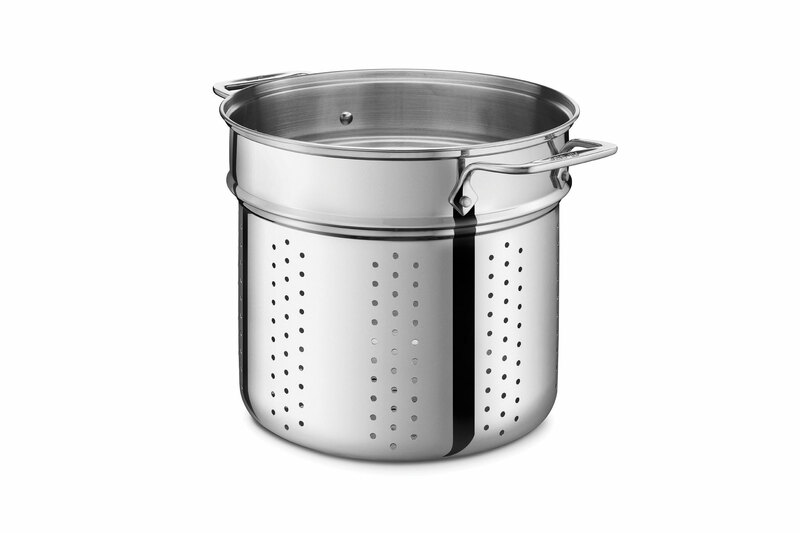 With the perforated insert in place, the multicooker conveniently prepares homemade stocks, vegetables, or pasta - simply lift the insert to instantly drain. 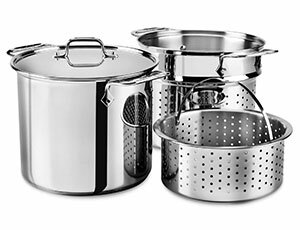 Prominent side handles ensure a secure hold when transporting the pot from the sink to the stovetop or when lifting the insert. 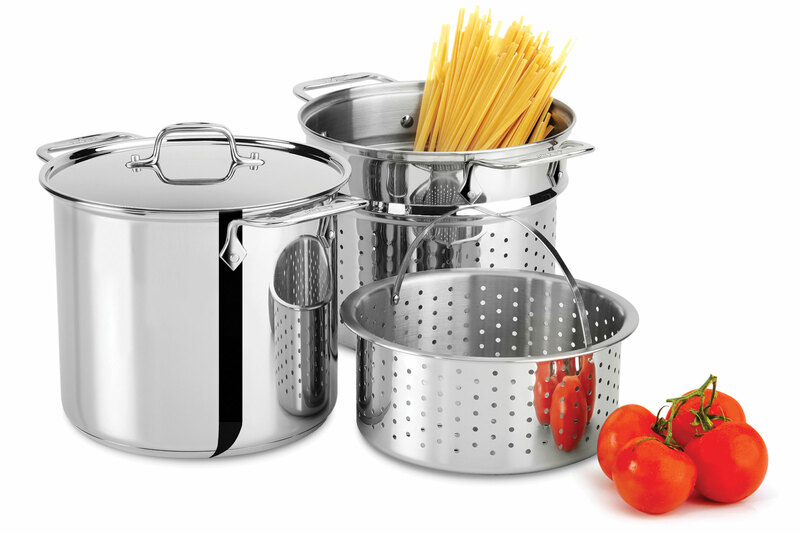 The included steel steamer basket fits inside the insert for cooking delicate foods like vegetables or seafood. 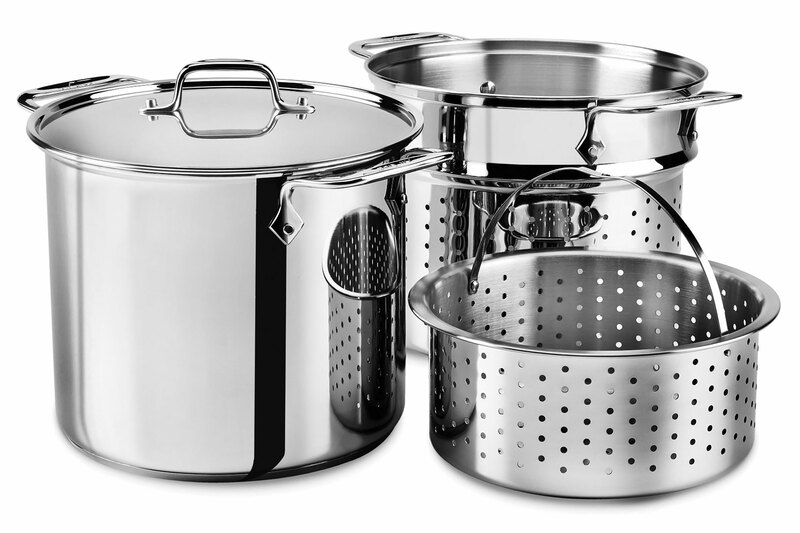 Combining high-quality craftsmanship and long-lasting performance. 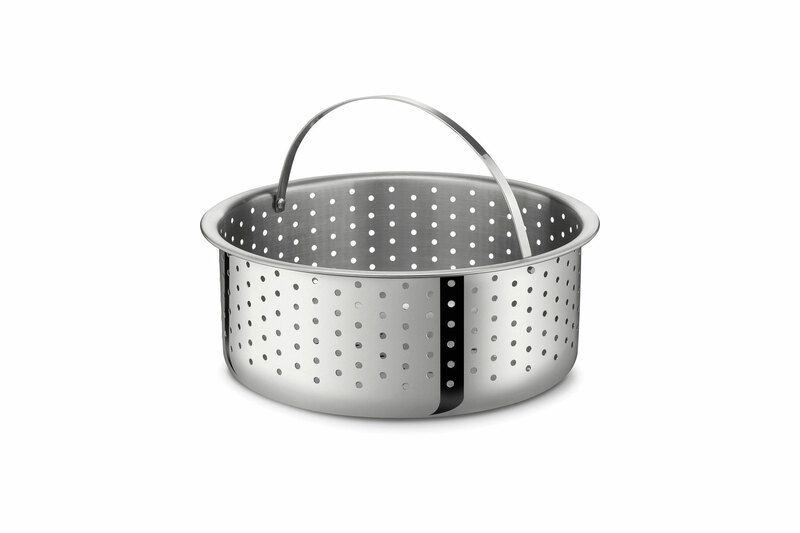 Made in China with a limited lifetime warranty.